For many Jewish parents these days, the bar mitzvah ceremonies have become a serious financial endeavor. Some families are caught up in a sort of competition to see who can throw the most extravagant party, while other families struggle to pay for lessons, sometimes opting to skip the whole tradition altogether. Isn’t it time to get back to the true meaning of this timeless rite of passage? Every Jewish child should have the experience of coming of age in their culture; to be forever rooted in their community. You don’t have to throw an extravagant party, you don’t have to join a synagogue just for a few years until your child’s bar mitzvah is completed, and you don’t have to worry that you won’t be able to afford proper bar mitzvah lessons. Rabbi Michael Samuel of Temple Beth Shalom in Chula Vista offers affordable lessons in a warm, relaxed environment. As a lifelong student and teacher of modern and historical Jewish thought and philosophy, Rabbi Michael devotes his time to developing youth and adult religious education, and social action initiatives. The Beth Shalom congregation itself is a growing community where your family will be welcomed and made to feel at home. Give your child the lifelong gift of traditional bar mitzvah lessons that encourage a meaningful understanding of our history, our culture, and the Torah. Rabbi Michael Leo Samuel teaches all the B’nai Mitzvah in the congregation. His style is warm, engaging, and joyous! 1) Complete mastery of the Bar/Bat Mitzvah service. 2) Can lead the entire Shabbat evening and Shabbat morning service. We welcome prospective students and parents to come and visit us. 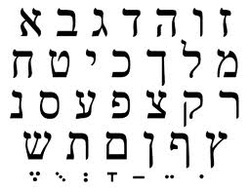 Our Beginners and Conversational Hebrew classes are open to all ages. If you missed the opportunity to sign up for a class, there will be a new class starting again soon. Please contact us, or let the rabbi know you are interested in taking a class.